Online tee times are not availabile for Monte Rei. This new outstanding Signature course by Jack Nicklaus offers everything a player would expect of this international golfer and designer. The course is laid out in the rolling hills to the north of the Via Infante (A22) motorway. Each hole presents an attractive visual challenge combining a variety of factors to ensure golfers of most standards can play the course with enjoyment and challenge at every hole. 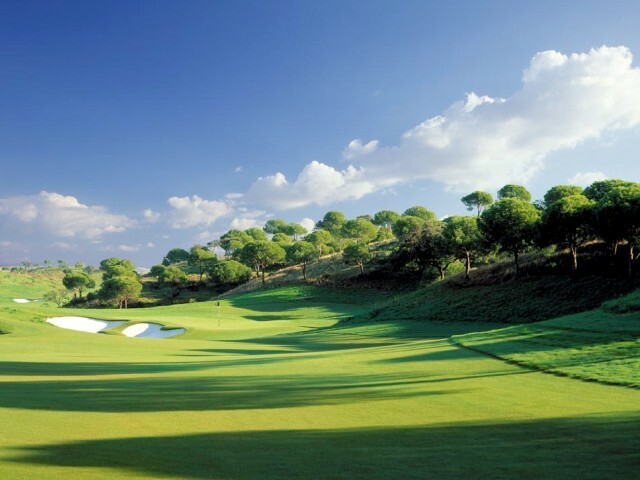 Detail combined with natural aspects, already existing or specially created, provides a course where a challenging round of golf can be played in very satisfying tranquillity. Upon arrival you will be given 5 Star attentive services, valet parking, and your Buggy which is included in the cost of the green fee. Superb. From the moment we were greeted the feeling was silver service The staff were super friendly and hospitable and could not do enough to help. 11/10 to the staff The course was amazing. So well maintained and such a challenging layout. 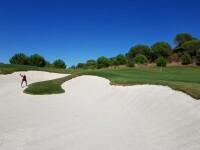 It well deserved its rating of #1 in Portugal Congratulations to all connected with Monte Rei Golf and Country Club A truly magnificent experience! !